What Really Invalidates Your Manufactures Warranty? Many people don’t realise their consumer rights when it comes to manufactures warranty! Gadgets in today’s world generally have a warranty between 1-5 years, depending on the product. What this warranty gives you, the consumer,is the right to go back to the company of purchase or manufacture if you have any manufacturing faults or defects with the product. Gadget Rehab advises you have read of this article titled: “what really voids your warranty”. You should also read your manufactures terms and conditions and contact them should you have any concerns or need further clarification. All Tablet Repairs Are Us. Here at Gadget Rehab we do repairs on all devices across the board including tablet repairs. The above are listed common issues and repairs that we deal with here at Gadget Rehab. We work on all different devices including: Samsung, Android, Apple, Nexus, Lenovo, Acer, HP, Asus, Amazon amongst many many more. Mobile Phone Unlocking Whilst You Wait! 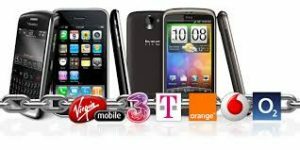 Gadget Rehab have recently invested in advanced network unlocking technology designed for all Android devices i.e. MTC, Samsung, Huawei, LG, HTC, Blackberry and Nokia. This process takes roughly an hour during busy periods but can be done whilst you wait in most cases. We can also provide remote unlocking services if you are not local to us - this can take up to 48 hours to complete. If you wish to unlock your device so that it is open to receive a SIM from any network provider then give us a call. In most cases it will cost only £10.00. For further enquiries contact us on. For the past 5 years Gadget Rehab have done repairs on all types of devices, not just Apple or Samsung devices like some other companies within the industry. 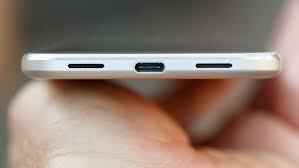 An example of this is last week one of our techs Dan B completed his 50th repair on a Google Pixel. Task one of any repair is to diagnose the issue - in this case the customer had brought the device in with charging issues. Dan, firstly conducted a series of tests on the charge port and battery using a USB tester to determine if it was the battery or charger port. Dan, also tested the battery and the daughter board (controls all charging aspects of the phone) He found that it was a short not accepting voltage, the technician came to the conclusion that replacing the part was the best way forward. The next step was to order the part - the technician then went to our trusted and tested suppliers and placed an order for a Google Pixel charge port. Remove screen - one of the difficulties with this repair is that to access the area the screen needed to be removed - this isn't easy without breaking the screen and comes with risk. After removing the screen - Dan got to work on the repair and changed the faulty port. The customer was very pleased with the overall service and the repair itself and Dan, was pleased to complete his 50th successful Google Pixel Repair. The team at Gadget Rehab recently did a repair on a Traktor Audio 10 Sound Card. This is a very unique repair and as all the DJs out there know it is difficult to find someone who does repairs for this device. The client approached us in regards to repairing the USB port as it had severe damage. 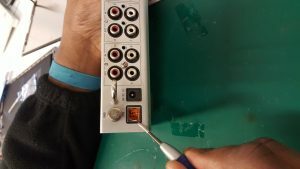 Our techs had a look at the device ,and as they have been doing similar repairs as of recent, they decided to take a leap of faith and take on this complex repair. It took some dedicated work hours and a fair amount of research but the team managed to successfully repair the Sound Card. leaving our client happy as larry. SSD and RAM upgrade completed at your local repair centre. How to speed up your Laptop or Desktop PC including iMac and Macbooks. Many of our professional clients (graphic designers, web designers, architects etc.) are constantly complaining that their computers are running slow, that the programs they use (adobe creative cloud, Maya, Photo Shop etc.) are taking longer and longer to load and even start up. Now the above issues could be down to many things however a majority of these issues are caused by lack of hard drive space and speed . As these professionals work with rather large files the PC/iMac/laptops etc. can’t handle the sheer capacity of files, as they may be running out of storage or be running on a standard mechanical hard drive rather than a digital solid state drive. Furthermore memory such as RAM can have an impact on the performance of your computer. Upon review of your computer system the team will be able to determine and advice you on what the best type of upgrade would be for you. Even if for example your RAM is up to date/spec if your hard drive is not as advance it could be that the system is slowing down because the hard drive is trying to catch up to the RAM, visa versa. In most cases we find upgrading your to an SSD dramatically improves the performance of your computer. The Samsung EVO 850 this is the hard drive we generally use as it comes in multiple sizes and is well trusted etc however if you prefer another type such as Western Digital or Crucial these can be ordered in for you. Here at Gadget Rehab our in house technicians can help you find your lost files. We know that sometimes we can accidently lose files or ‘delete’ them however no need to fear these files have, in the majority of cases, just been hidden or stored beneath the surfaces. We work with software and expert skill to retrieve this missing/deleted data. Software corruption – we have all experienced this, when halfway through an important report the application just shuts down, resulting in all our hard work being lost, or is it? Due to this we also highly recommend that you backup your data. This is such an important thing to do and in today’s modern world with cloud storage and auto backups it quite literally at your fingertips. There is no excuse not to do so! If you need help with iCloud storage and automatic back ups we are more than happy to give you some free advice or we can help you set this all up for a small fee. We understand that on many of our devices we have sensitive data, especially our corporate clients, so we also offer a data destruction service, which completely destroys all data, what this means is no one will ever be able to access those sensitive files, as they will no longer exist. Gadget Rehab are partnered with some of the most secure data destruction providers which meet international data privacy regulations including ISO 27001 and ISO 27040. Have you serviced your battery in the last 2 years or even since you had your device? The above are but a few common issues that users find with issues related to the battery. So it is important that you ensure that your devices battery serviced at least every 2 years. Using specialist equipment we test the battery AMP to check that enough current is flowing to the battery. We test the Voltage of the battery and its current capacity to see if it is working to its optimal performance, or whether a new battery would be beneficial to your device. We can also recommend methods of optimising your battery and keep a healthy life span. Most of our batteries come with a 12 month warranty, prices start from as little as £29.99 We only use original batteries to upgrade your device to ensure a successful healthy and happy battery lifespan. How to protect my screen? In the modern day for many of us our phones are a big part of our lives. So it is important that we protects them. 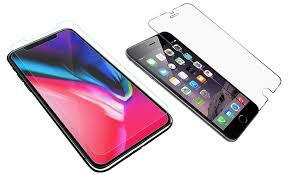 With screen replacements for the latest apple device starting from £430.00 if something with a price as little as £10.00 could protect it from damage why not do the smart thing? At Gadget Rehab we provide the best quality tempered screen protectors made of specially processed glass which is very effective for protecting your screen from damage. Surface Hardness: The 9H hardness can effectively protect your screen from scratches, blemishes and external shocks. Anti-shatter Film: If broken, the tempered glass breaks into small pieces that are not sharp, making it more safer for users. Oleophobic Coating: The oleophobic coating can prevent fingerprints or other stains, and can make the film easy to clean. Delicate Touch: The self-adhesive silicone can touch on the screen smoothly. It makes the installation easy and is more sensitive for operation. 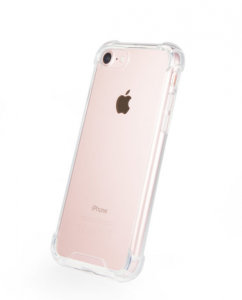 A Non-slip and Shock-proof design means that this case will protect your phone. The Extended corners absorb the impact of falls and the lip over the screen keeps your phone screen away from the floor when face down. Cases and tempered glass available for devices ranging from: Apple, Samsung, Sony, HTC, Motorola plus many more. Also available for Tablets. Have you jammed your PS4/XBOX port in too far or have you thrown your device out of frustration during game play? 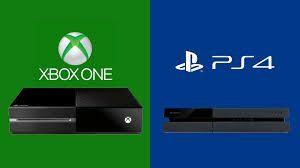 Here at Gadget Rehab we are here to help get you back in action with our PS4 and XBOX connector repairs! 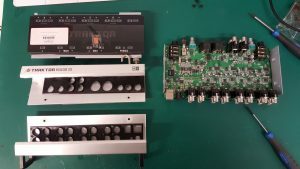 Auxiliary- used to connect PS4 camera etc. We turnaround these repairs within 5 working days. Express 24 hour service available for an additional £12.00 subject to part availability.